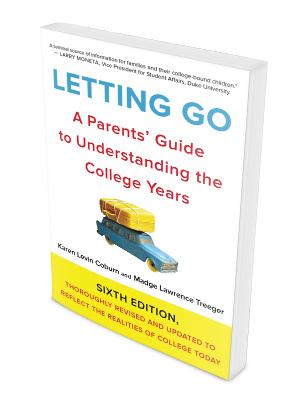 Based on research and real life experience, and recommended by colleges and universities around the country, Letting Go, Sixth Edition, has been updated and revised, offering even more insightful, practical, and up-to-date information. In this era of constant communication, this edition tackles the challenge facing parents: finding the balance between staying connected and letting go. 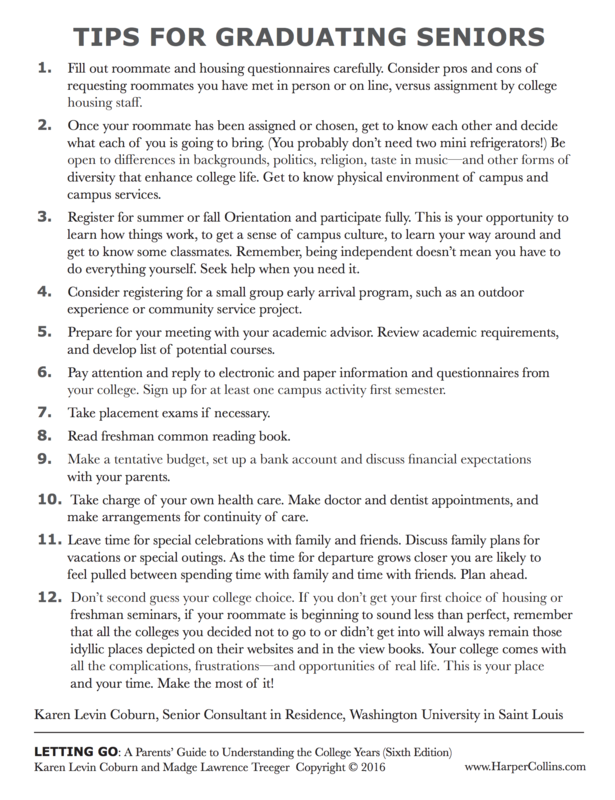 A timeless resource, Letting Go, Sixth Edition, is an indispensable book that parents can depend on and turn to for all of their questions and concerns regarding sending their children to college. 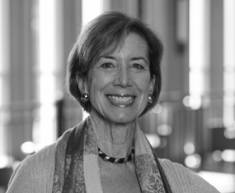 KAREN LEVIN COBURN, coauthor of The New Assertive Woman and Hitting Our Stride, is Senior Consultant in Residence and longtime Assistant Vice Chancellor/Associate Dean at Washington University in St. Louis. MADGE LAWRENCE TREEGER is a psychotherapist and former member of the Washington University Counseling Service. 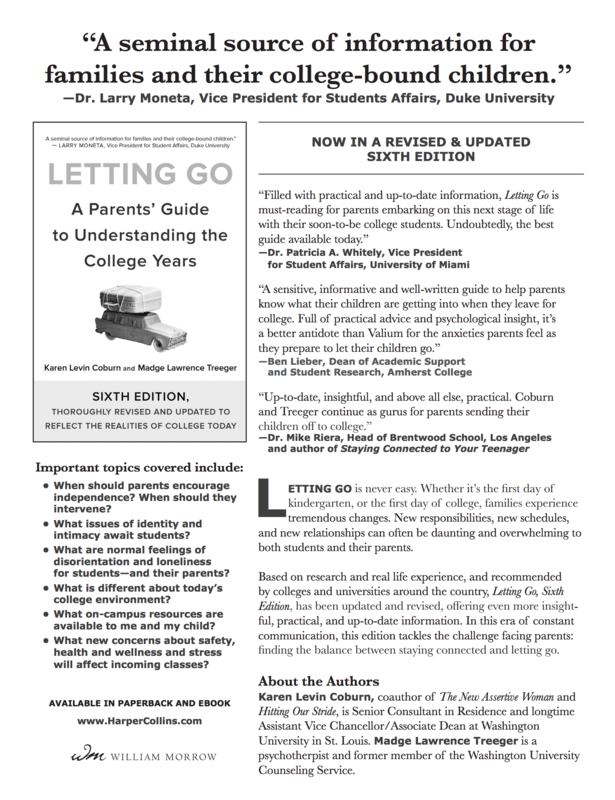 Karen Levin Coburn, who updated and revised this new edition of Letting Go, is one of the country’s leading experts on the college experience and a popular speaker at educational institutions and conferences. She has aided thousands of parents and students nationwide. To arrange for Karen Levin Coburn to speak at your campus, contact her directly at Coburn@wustl.edu or by text 314-974-4859. To purchase copies in bulk, please contact Gillian.Wise@HarperCollins.com or call her at 1-615-902-1330. 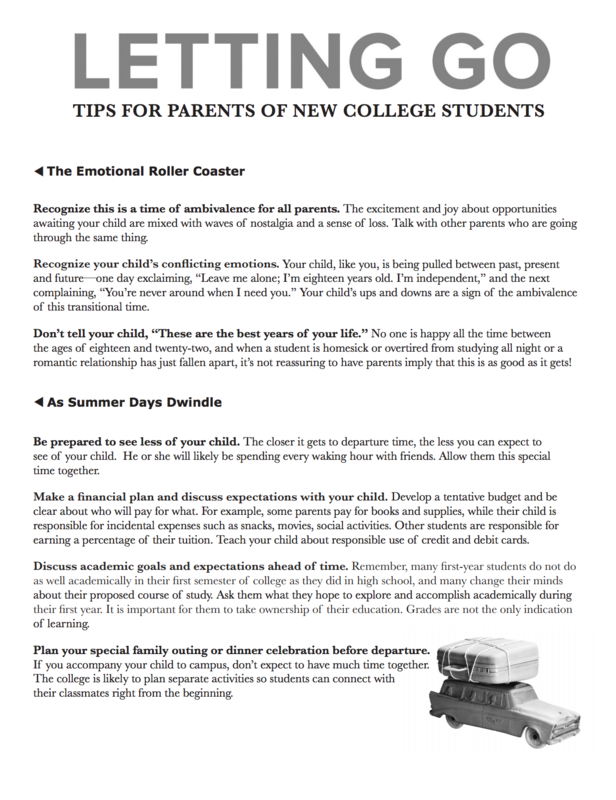 The classic Letting Go workshops and tip sheets for students and parents have been updated by Karen Levin Coburn to reflect the new information in the sixth edition of Letting Go: A Parents’ Guide to Understanding the College Years. These workshops have been presented regularly on college campuses throughout the country and at international schools abroad. 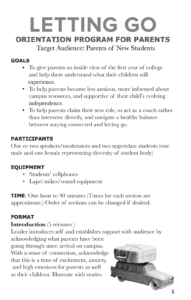 The authors encourage schools, colleges and universities to adapt the workshop to meet their own needs. There is no need to ask for specific permission.